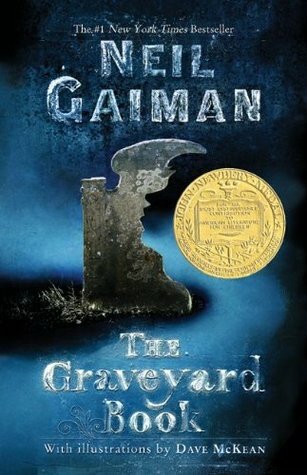 This was my second Neil Gaiman book and I feel like I should have started with this book first. The story was well written. I liked how every chapter was a different story in the life of Nobody Owens. Each chapter being a snippet of an experience of Bod’s life like a puzzle piece being placed and the end of the story is the final picture each puzzle piece was responsible for. If you haven’t read it, I don’t want to give anything away, but the ending made me tear up. I wonder if all of his endings are like this. My previous experience, The Ocean at the End of the Lane, also had a saddish ending. I also like that we meet a character in The Graveyard Book that is related to the Hempstocks from The Ocean at the End of the Lane. I listened to this book as a full cast audiobook. This elevated the story to a level I didn’t even think was possible. Each character was brought to life by it’s own narrator making this story that much more enjoyable. I do look forward to expanding my Neil Gaiman repitore and I wonder why it took me so long to begin reading him in the first place! I enjoyed this book so much I suggested it to my mother who listened to my audiobook in one weekend.